First, let me say, I love miniatures. When I was little, one of my favorite dolls was one inch tall. I hand sewed that baby doll about 25 little snugglies, made her a bed and other furnishings out of matchboxes, and have now passed her down to my daughter (who much prefers larger dolls). This love of miniatures is what first attracted me to Baby Stuff: Let’s Make Cute Stuff by Aranzi Aronzo! The book is written in a graphic novel format, a format that works well given the content and relatively simple instructions. My nine-year old daughter found this format especially engaging: She generally looks at just the pictures in craft books, but she sat down and actually read a good piece of the book, too. 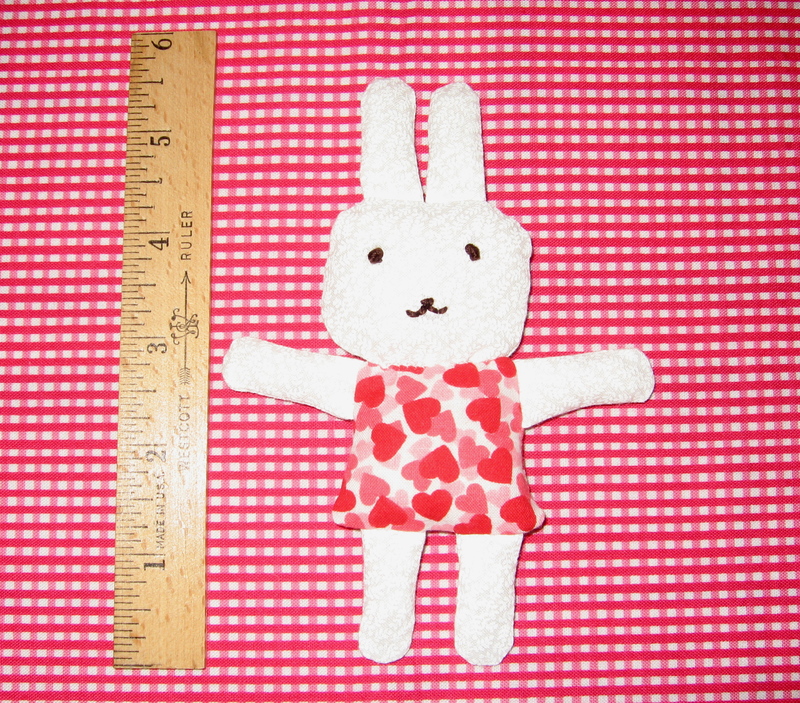 Together, we decided to make Little Bunny, but rather than make it from terry cloth as suggested, we chose to use cotton quilting-weight fabric, a decision I am glad we made. With Valentine’s around the corner, my daughter settled on a heart theme and asked if we (meaning I) could make thirteen dolls, one for every girl in her class. I quickly let her know that we were making one Little Bunny, not thirteen. 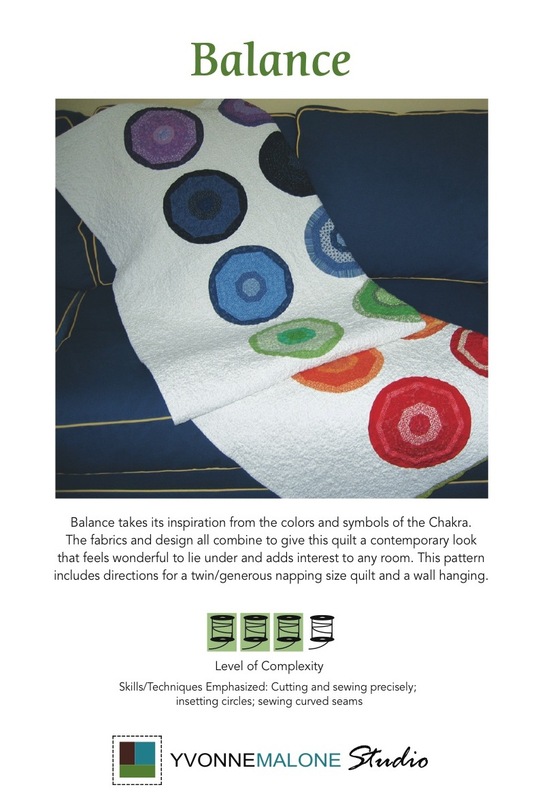 The instructions were clear and the pattern was already at 100%, so there was no need to enlarge it according to the book. While I have always considered my hands quite nimble from years of sewing and crafting, I did not feel this way once I started sewing and turning these tiny pieces right side out. Thank goodness for tweezers and a fruit kebob stick! If I had used the terry cloth as suggested, I don’t think I would have been able to turn the ears, arms, or legs right-side out. This little guy is so cute that I would like to make it again (though not thirteen more times), especially as a quick gift to stitch up for a new baby or the baby’s siblings. 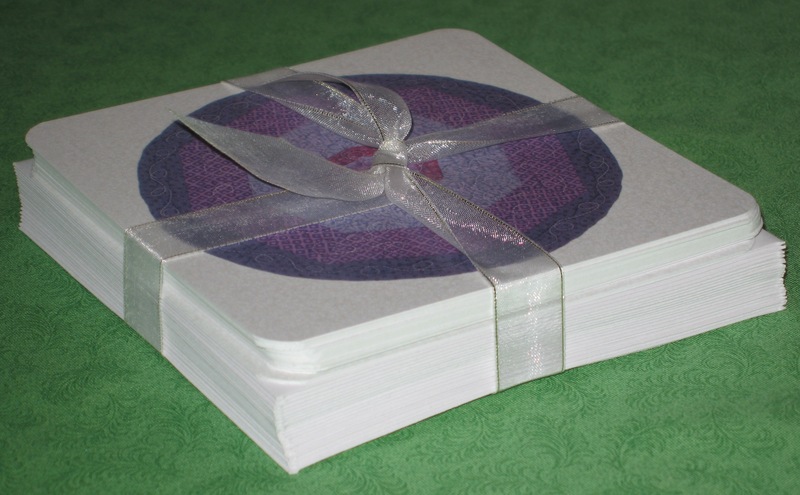 However, I would definitely enlarge the pattern, probably by 100%, to make it stitch up easier and to use a more generous seam allowance rather than the 3/8″ seam allowance used in the book. I also think if the pattern were larger, a younger person could make it up if they had some sewing experience under their belt. It seems like the number of new craft books published in recent years has risen dramatically, driven possibly by demand from those of us seeking a diversion from the news headlines and fulfilling a need to make something with our hands, something that we can personalize with our own ideas. 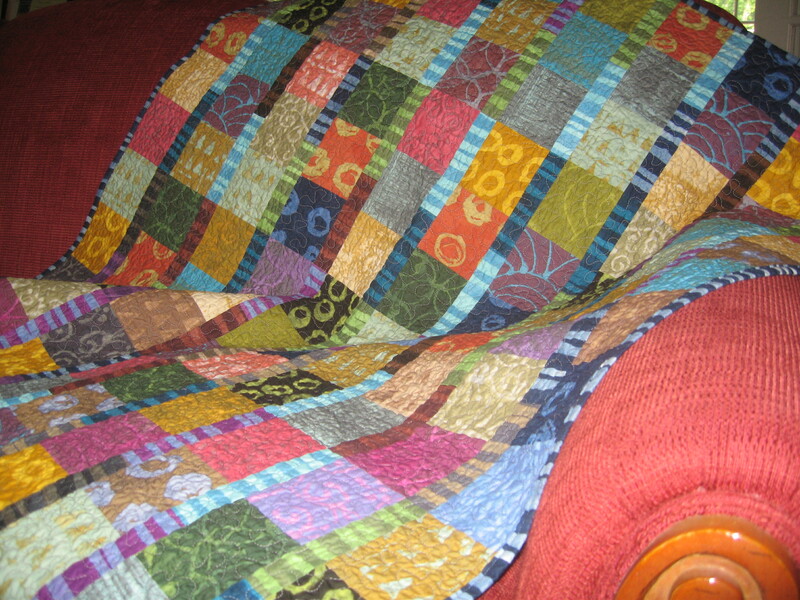 Topics run the gamut: Quilting, sewing, embroidery, crewel, papermaking, rubberstamping, beading, you name it. The problem I have is that many of the books feature extremely talented designers and beautiful photographs, and therefore, I want to them all! Luckily my local library must have some crafters on its book purchasing committee because a lot of the titles show up on the shelves there. If not, the local bookstore is happy to oblige. 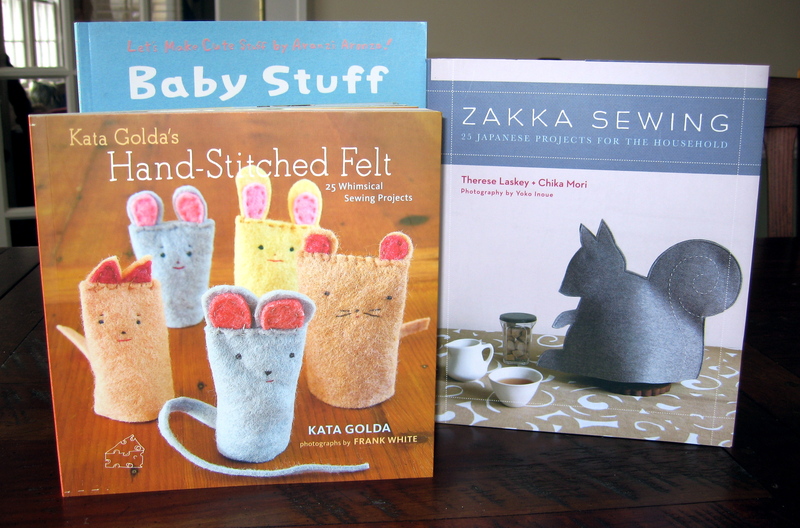 During the next few weeks, I’m going to “test drive” some relatively recent releases, including Baby Stuff by Aranzi Aronzo, Hand-Stitched Felt by Kata Golda, and Zakka Sewing: 25 Japanese Projects for the Household by Therese Laskey and Chika Mori. So, check back as I post the projects and helpful hints about making the most from each of these books. According to the receipt stuck in my copy of The Sound of Paper, I purchased the book on March 18th, 2004 at 1:17 p.m. I know I skimmed the book at the time and then life got busy and somehow it ended up on a shelf for the next several years. 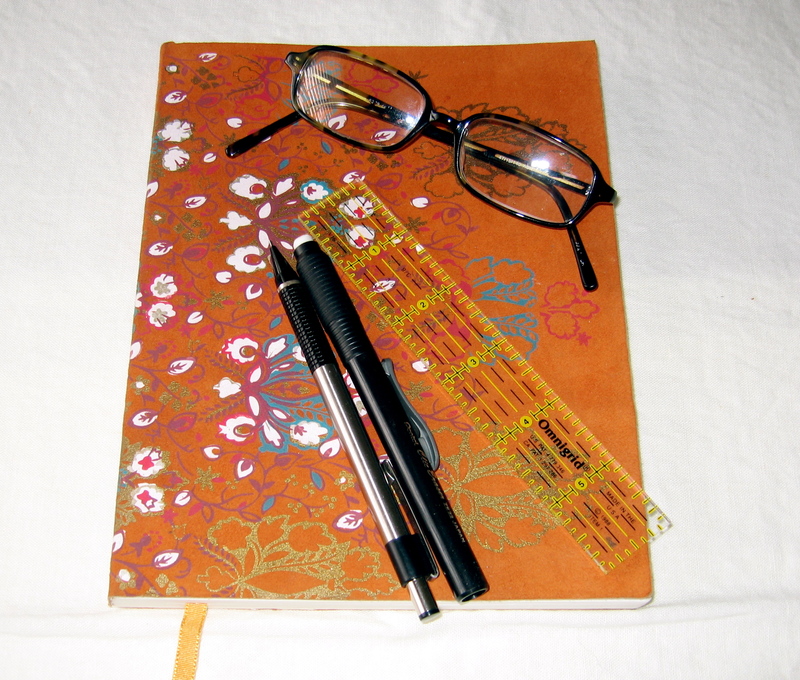 As we enter 2010, I am determined to establish some positive new habits in my life, especially ones that make me more productive from a creative standpoint. Among the steps I have taken in the last few days, is to blow the dust off The Sound of Paper and start reading/doing some of the exercises in the book. In the opening pages, Ms. Cameron talks about several habits (or what she refers to as “creative tools”) to establish, including “Artist Dates”. In describing an Artist Date, she says, “Think pleasure, not duty. Choose an expedition that enchants you, one that truly interests your inner explorer.” The Artist Dates I have in mind include going to the art museum sans children, grabbing my camera and taking a hike through the woods to look at branch forms and seed pods, and exploring a new neighborhood in Chicago. While she suggests that you take these artist dates by yourself and once-a-week, I know I can’t commit to this, but I can manage one a month, by myself or with a like-minded friend. Another habit I want to build on this year is sketching every day. Several years ago, my brother and his family gave me this beautiful sketch book, about 6″ x 8″. It is the perfect format, anything bigger would overwhelm me at 5:30 in the morning when I am doing this! I am always clipping photos and stories from the newspaper that I find inspirational. The night before, I choose a couple that I want to focus on the next morning so that when I sit down, I don’t spend the first 15 minutes trying to decide what to draw. Ideally some of these sketches will work their way into quilts, quilting designs, embroidered pillows, etc. In the past, I viewed “Artists Dates” and sketching as luxuries that I did not have time for in my busy days, weeks, months. At some point, however, whether you work outside the home or not, work for yourself or someone else, or work in what you consider a creative field or not, you need to find those activities that recharge you and bring a smile to your face. 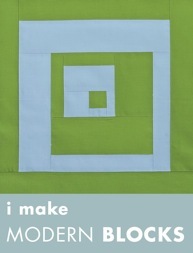 So here’s to finding what nurtures your creativity and making it a daily habit in 2010!